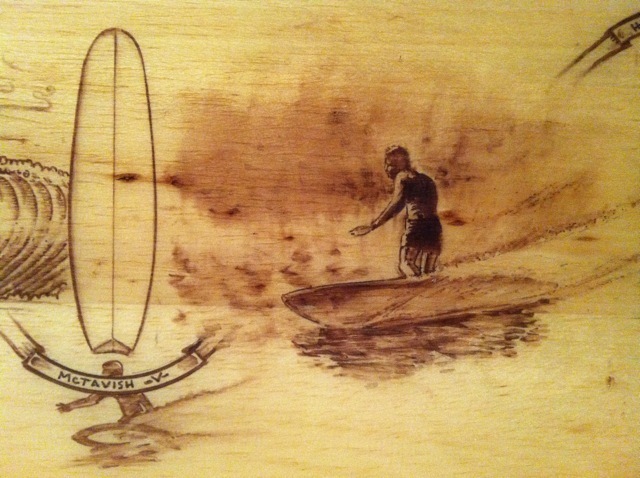 Reynolds Yater- Kevin Ancell collaboration. 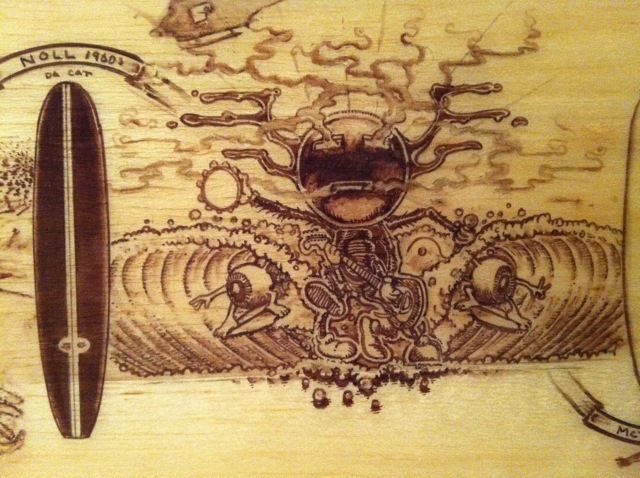 These photos are details of a stunning collaboration between Renny Yater and Californian artist Kevin Ancell. 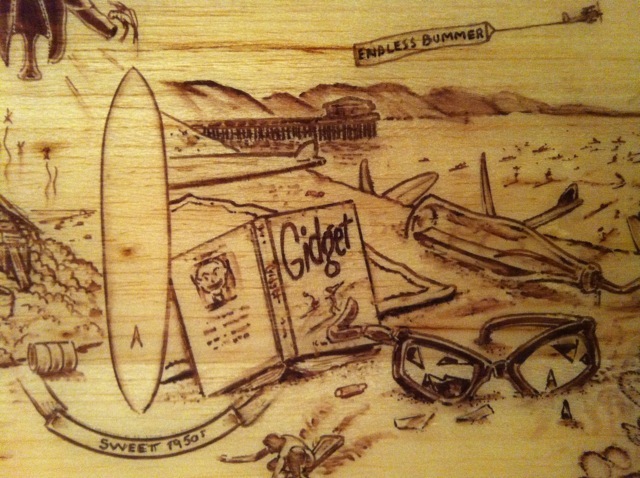 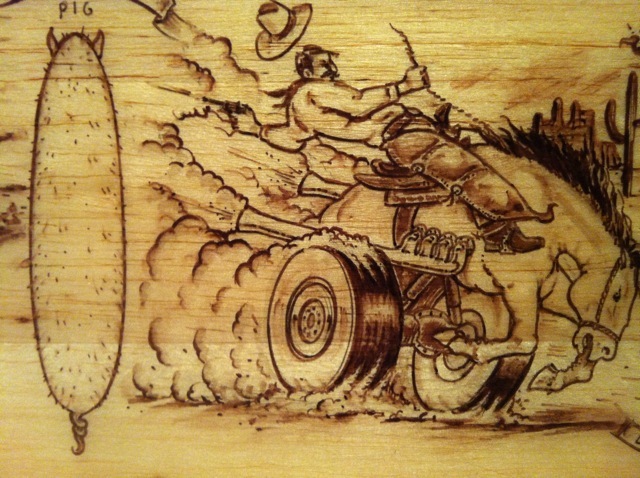 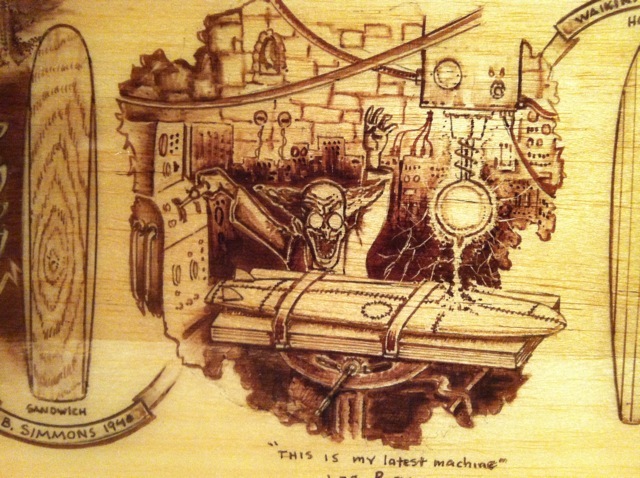 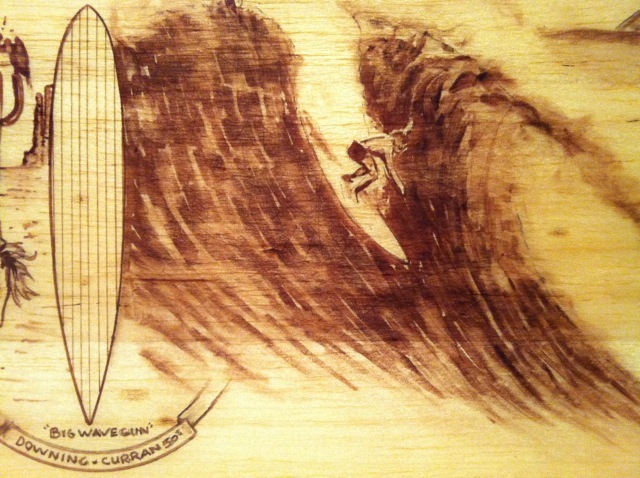 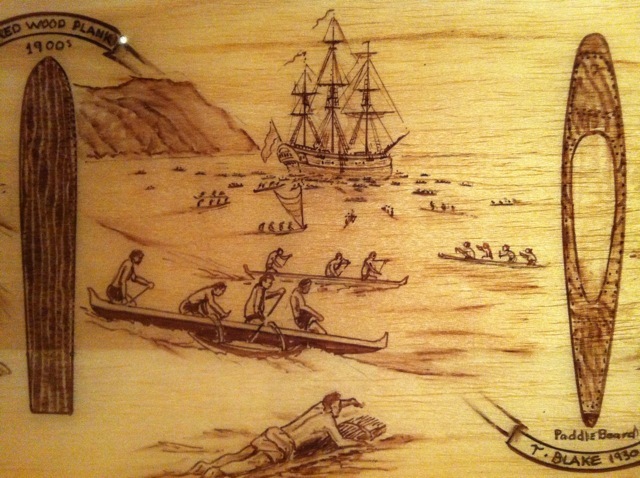 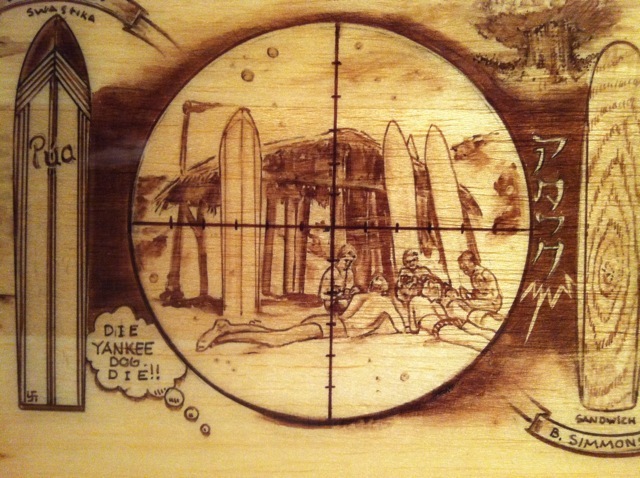 The illustrations are burned into an 11' 4" balsa blank that Yater describes as a 'stiletto gun'. 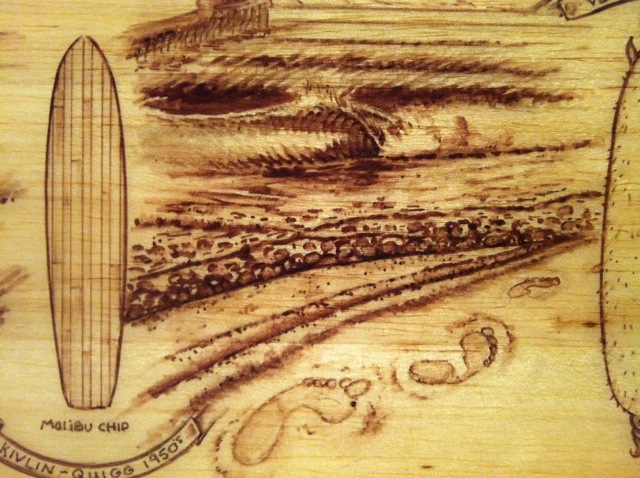 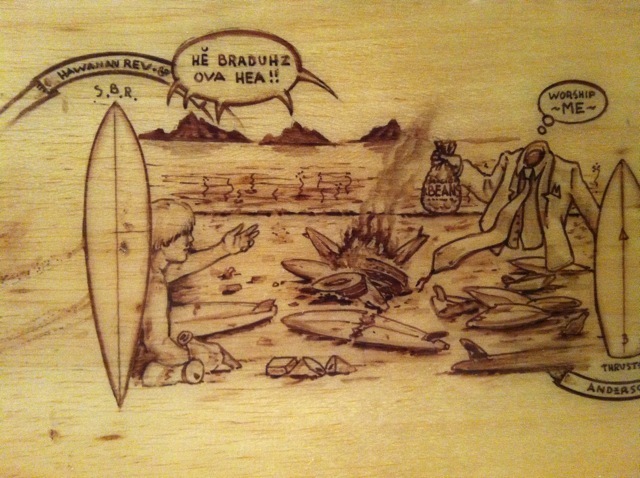 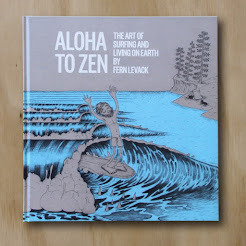 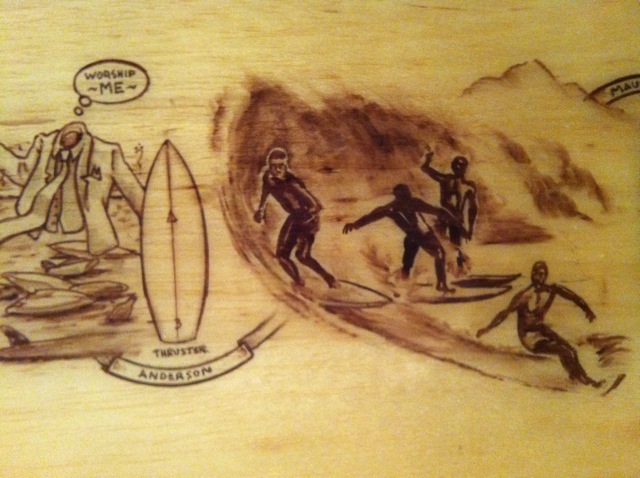 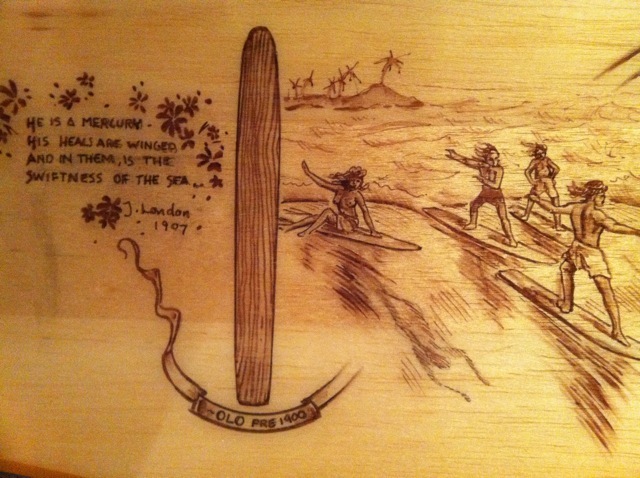 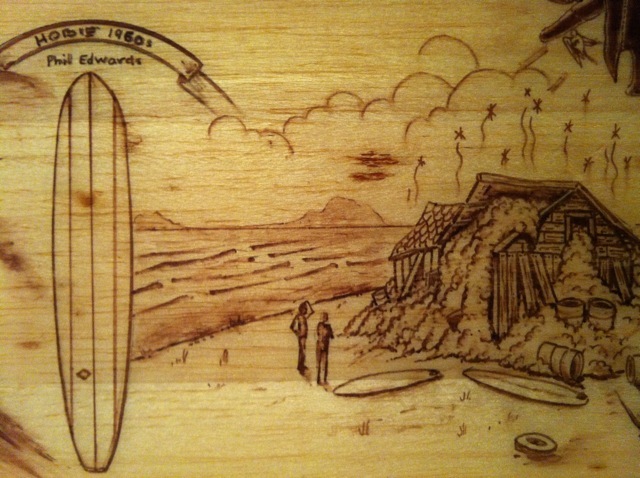 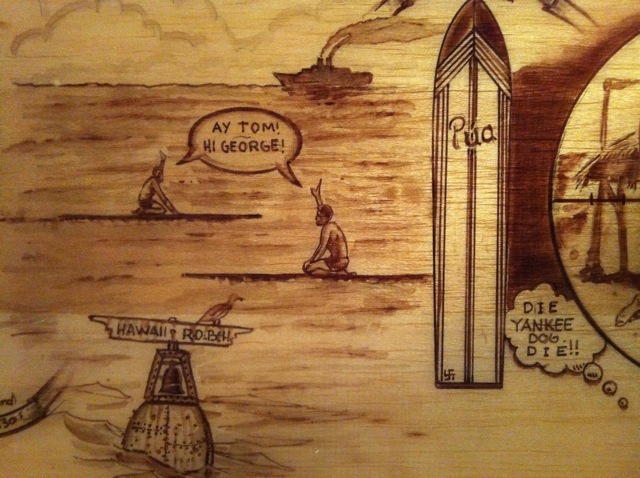 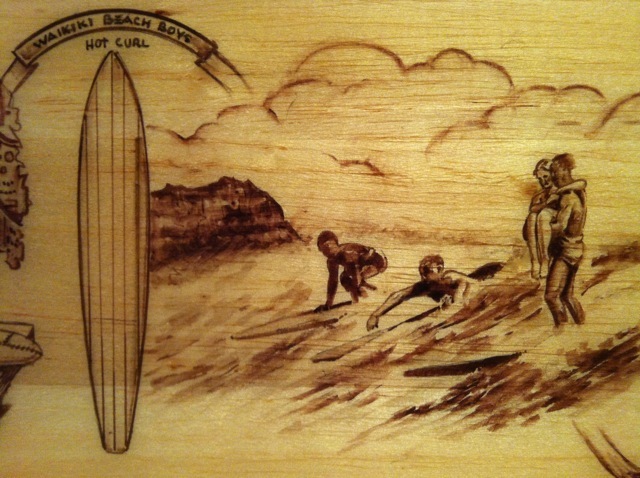 The drawings, done with a soldering iron and water colour, tell the irreverent chronological story of the history of surfboard design, from the ancient Hawaiians to todays overcrowded line ups. Port Fairy Australia Day Surf Swap. 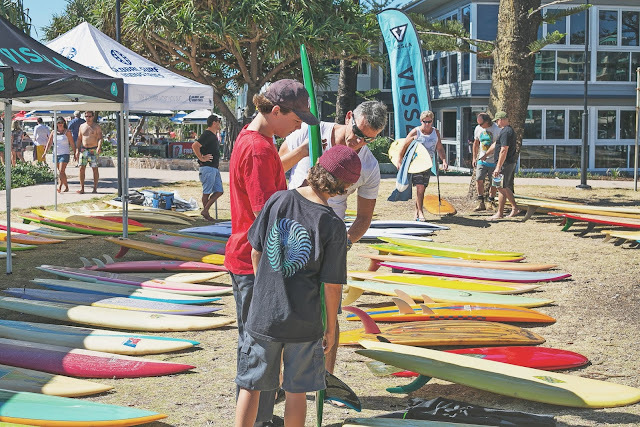 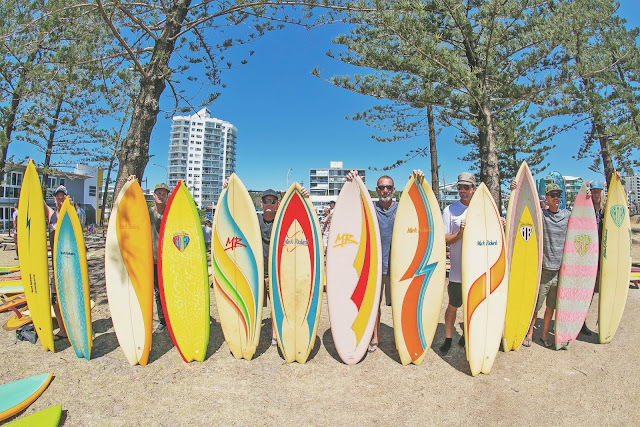 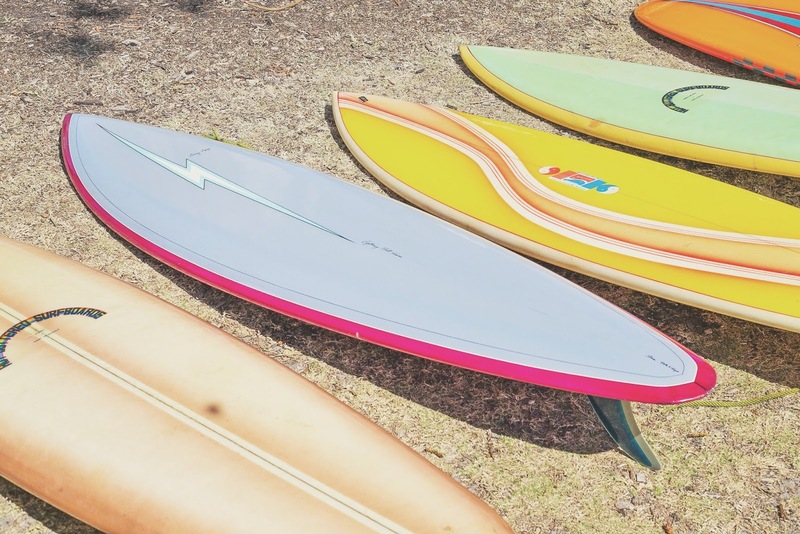 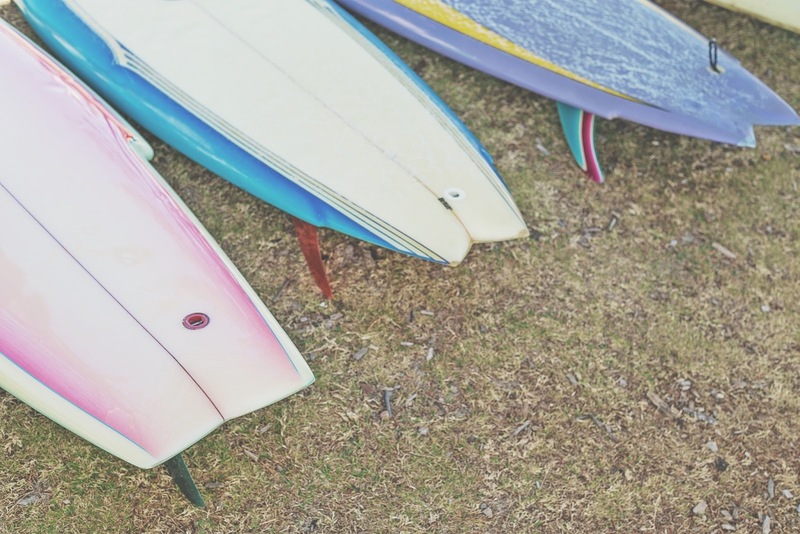 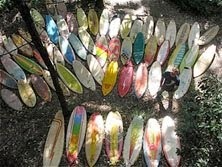 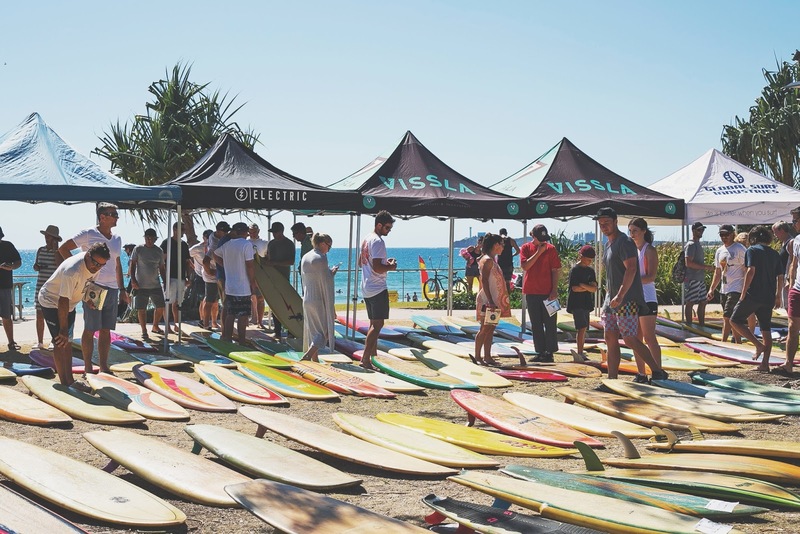 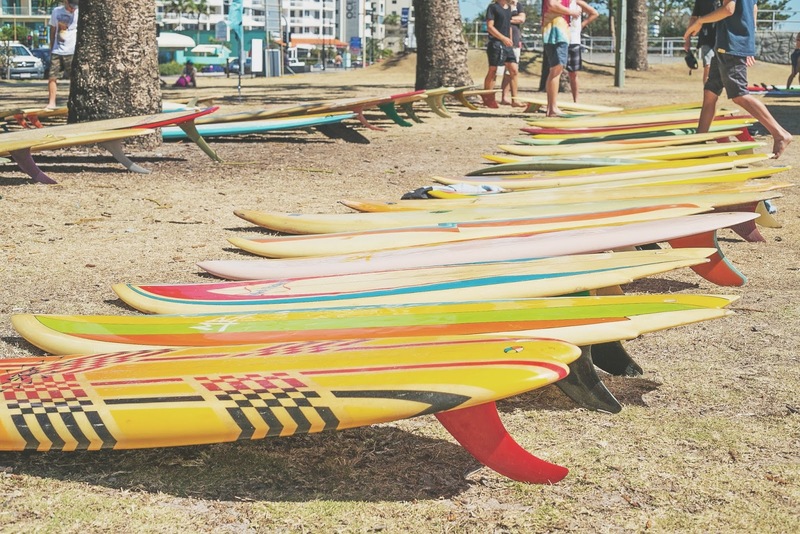 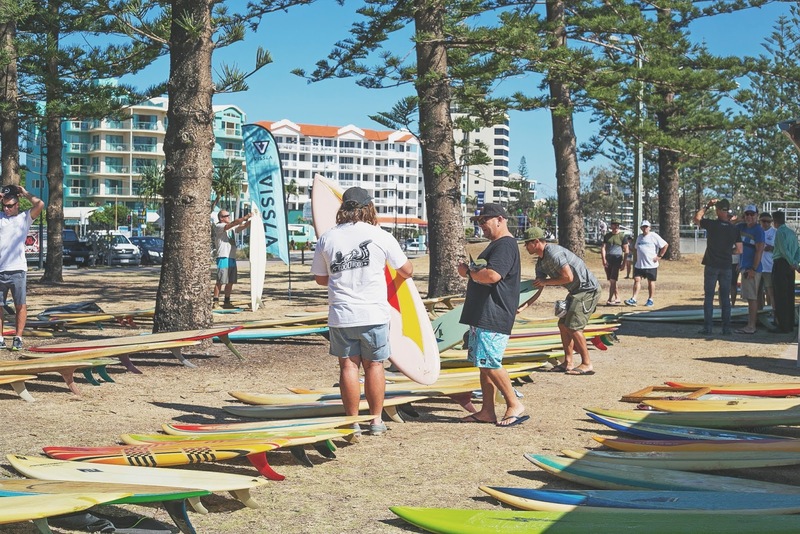 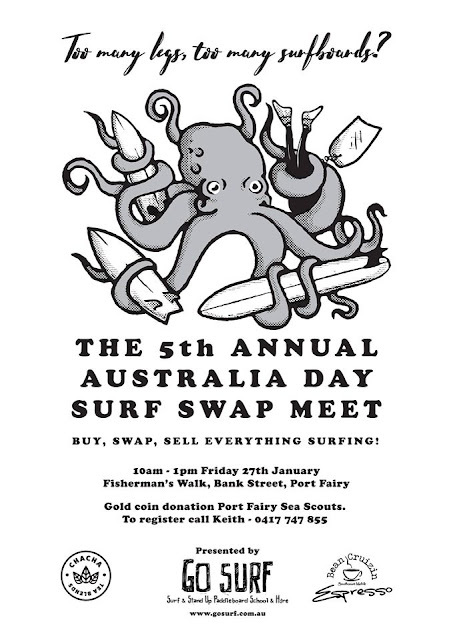 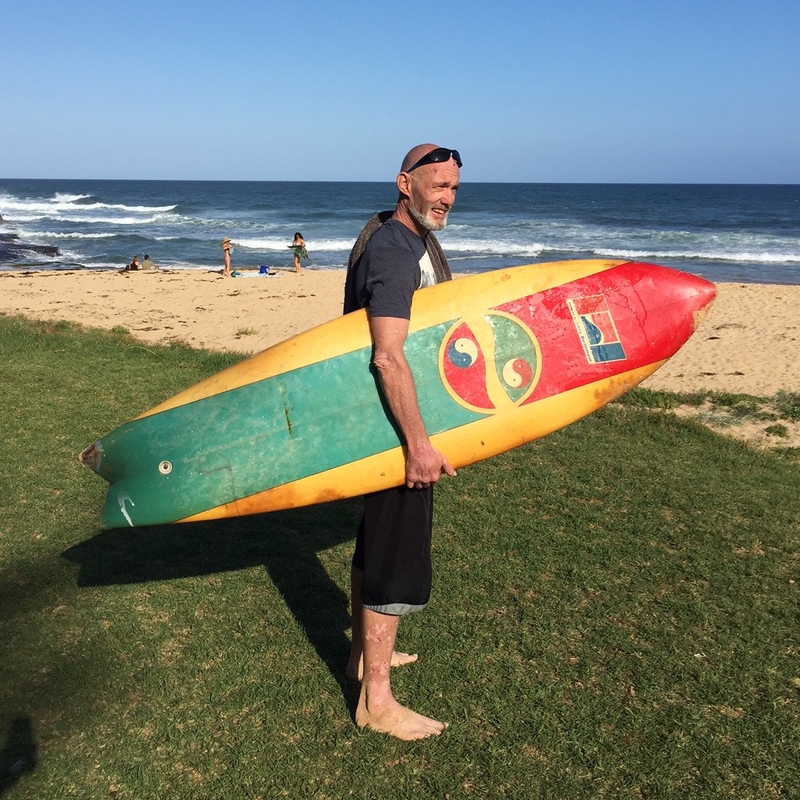 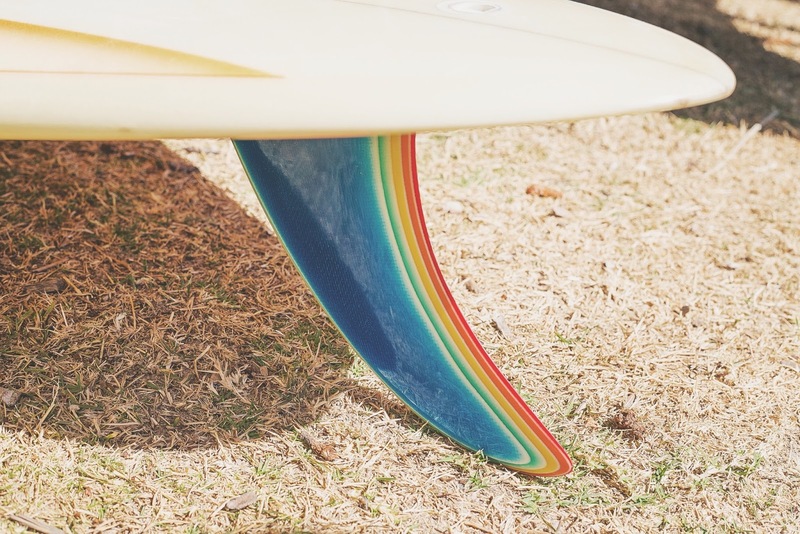 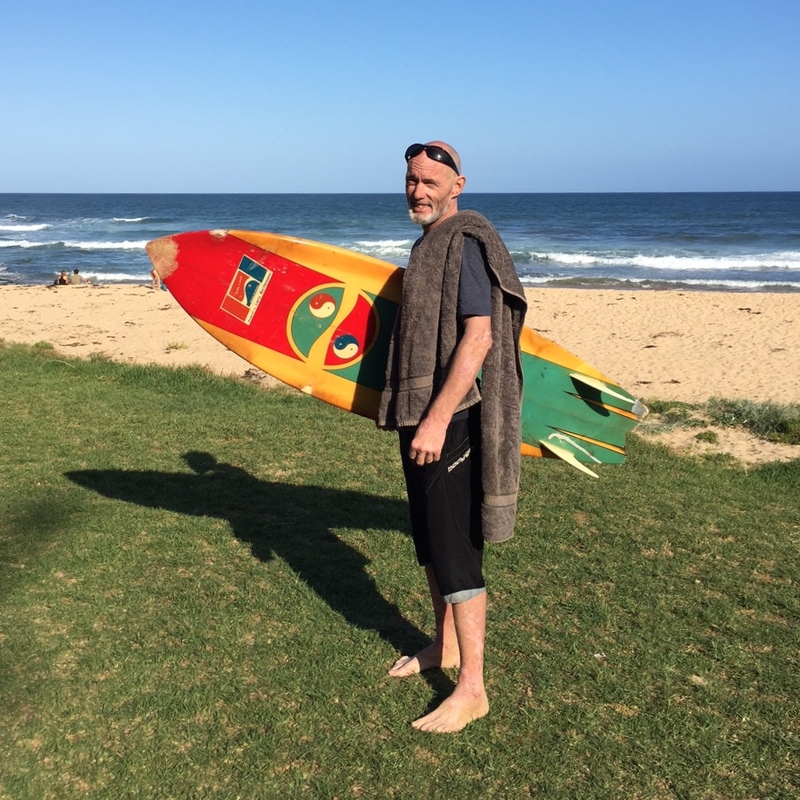 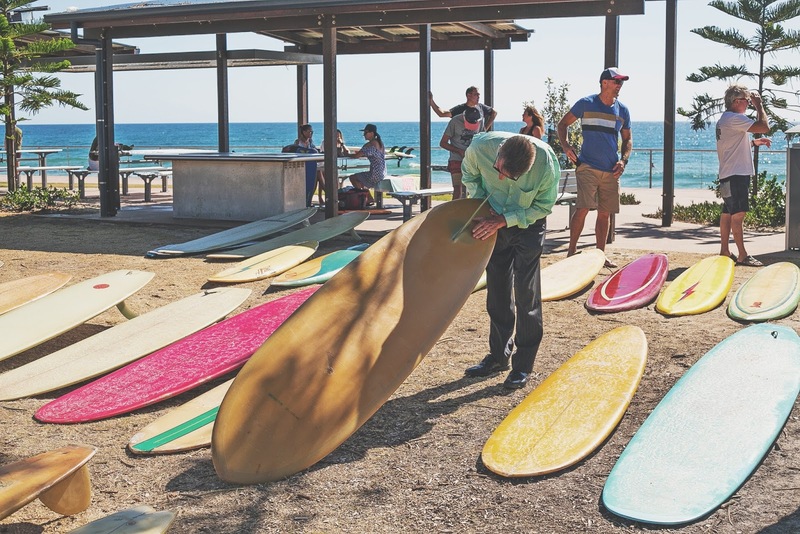 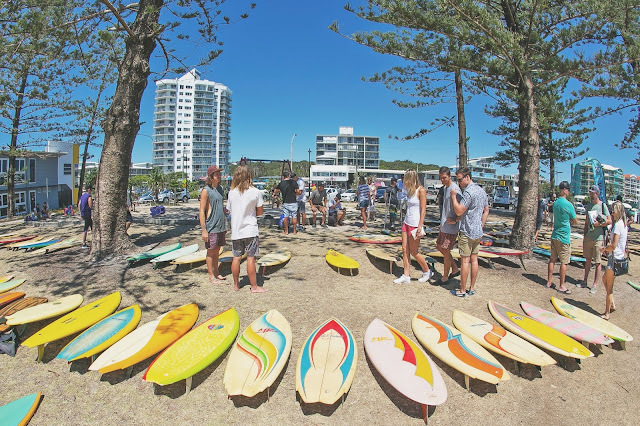 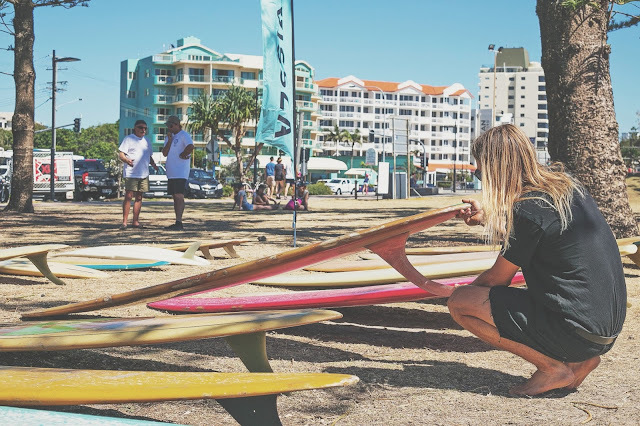 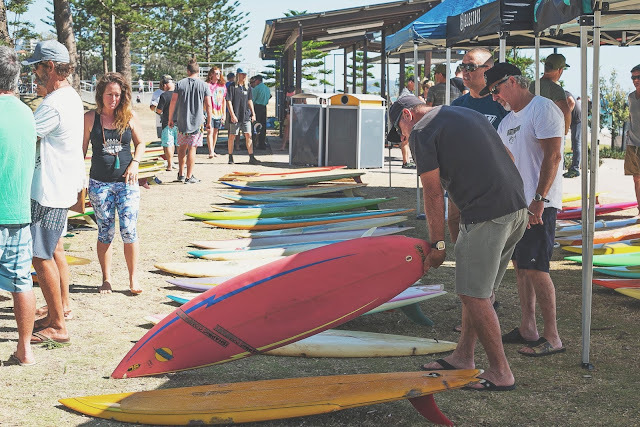 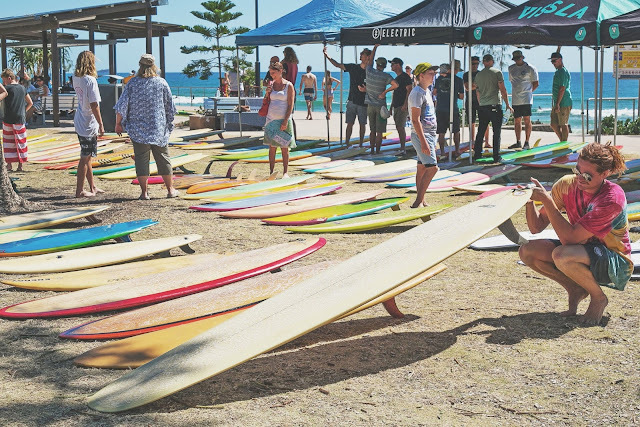 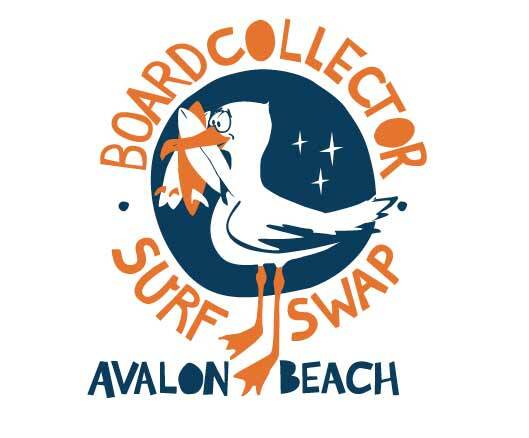 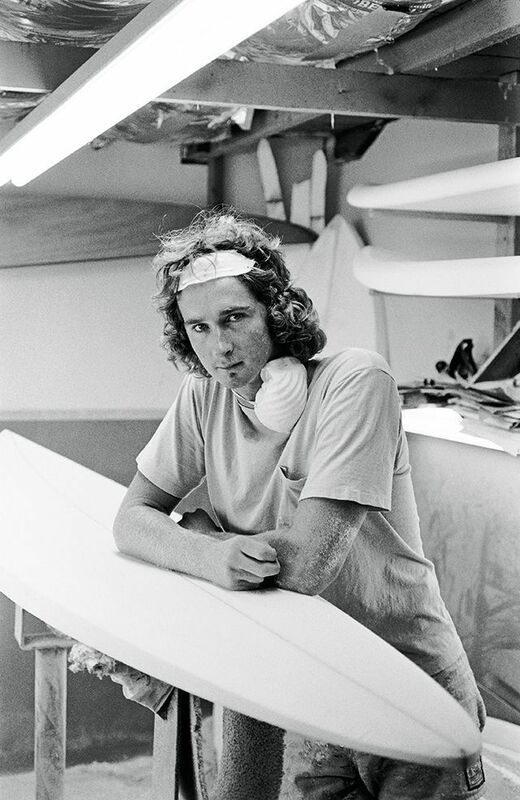 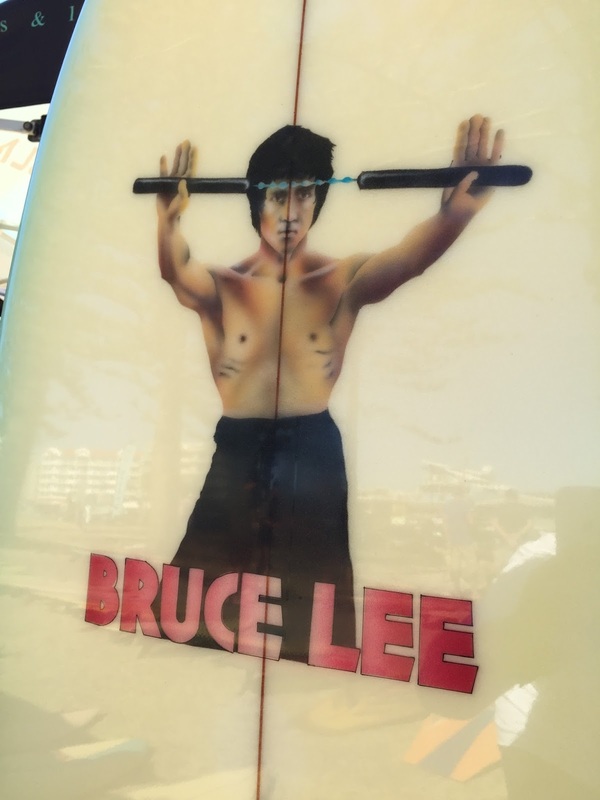 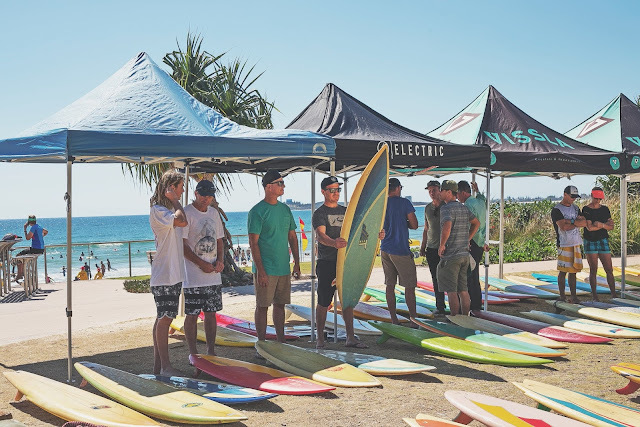 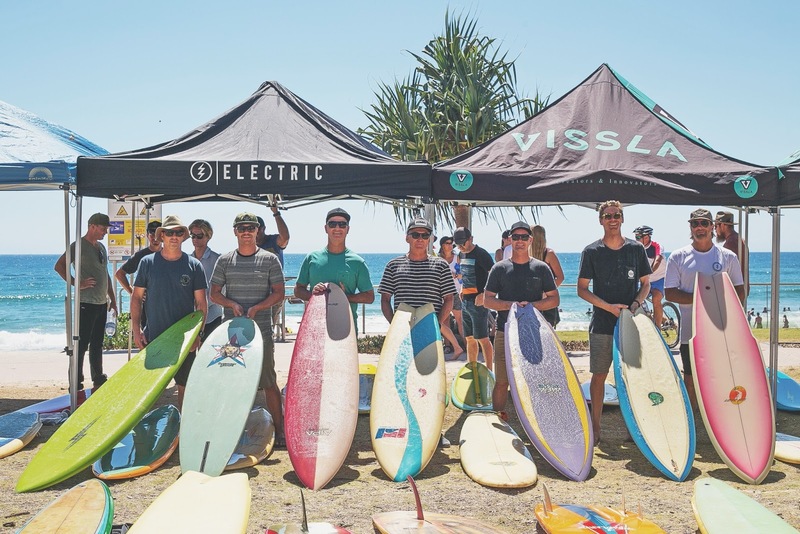 Keith Curtain invites you to The Australia Day Surfboard Swap Meet. 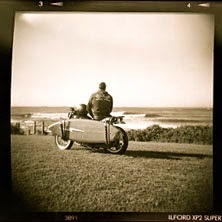 part of this years Moyneyana Festival Program in Port Fairy 😄. 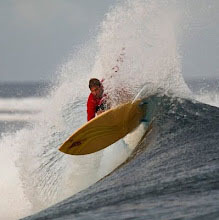 "Anything is possible- Larry Bertleman"
'Hey mate! 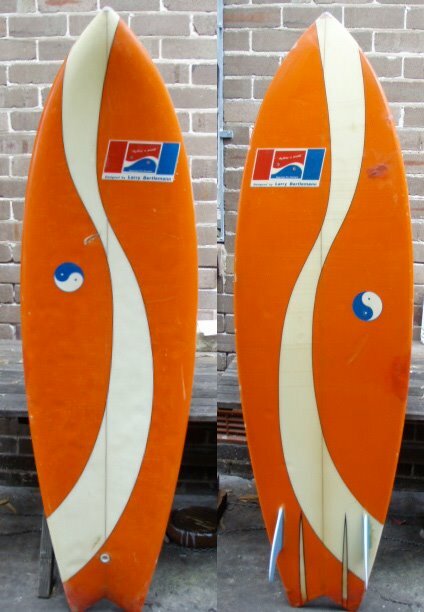 Can I have a look at that board". 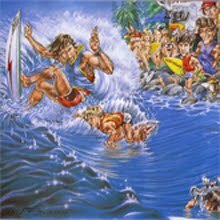 Its literally years since I've had the opportunity to yell that out down at the beach. 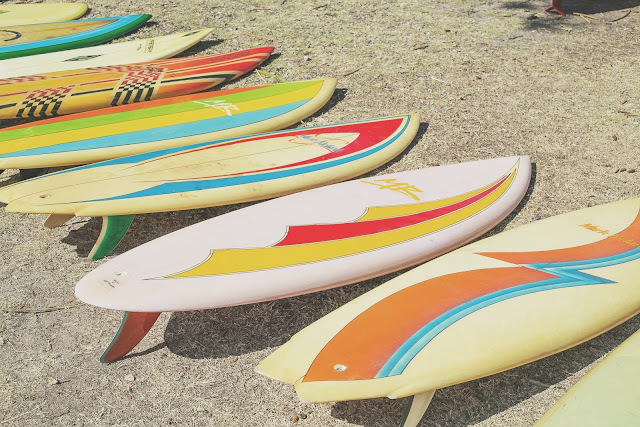 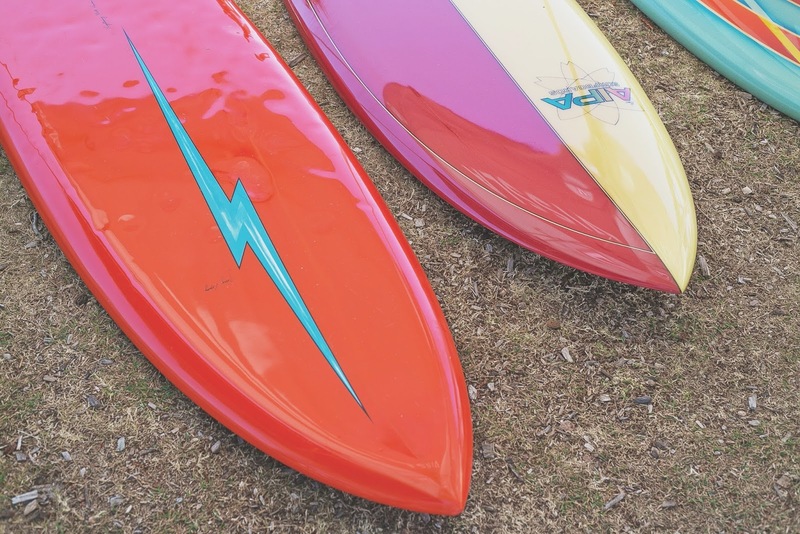 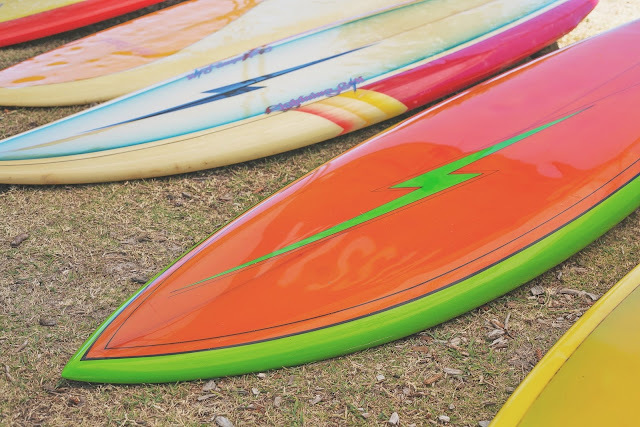 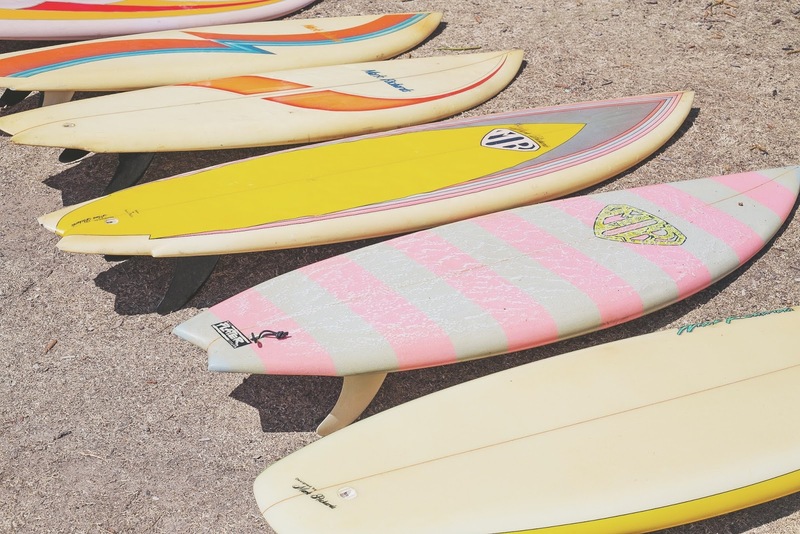 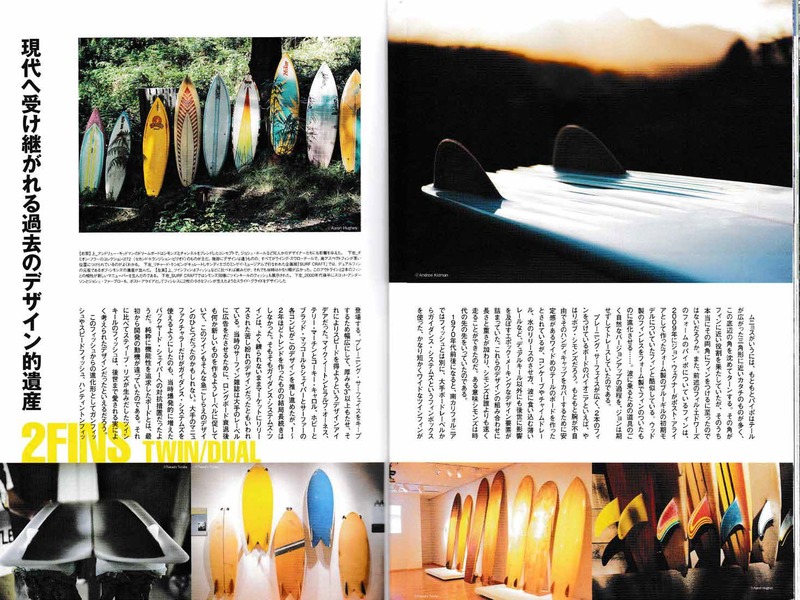 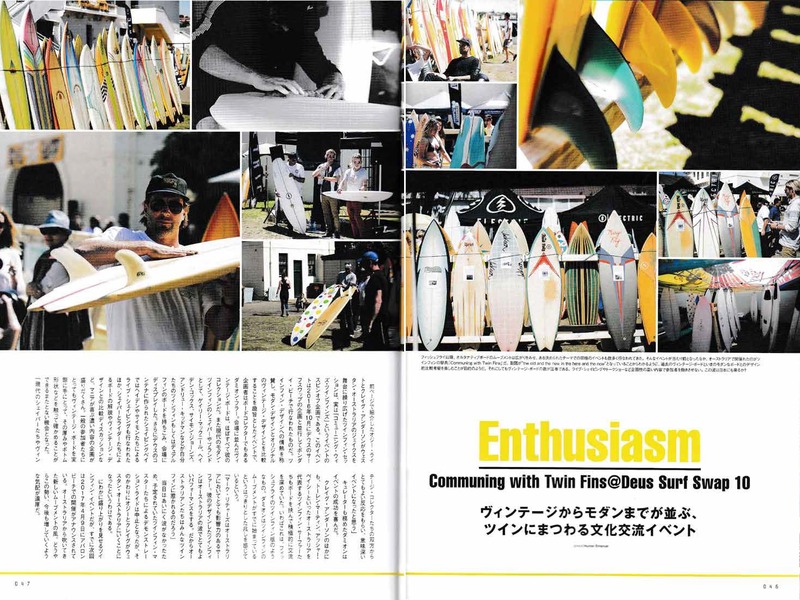 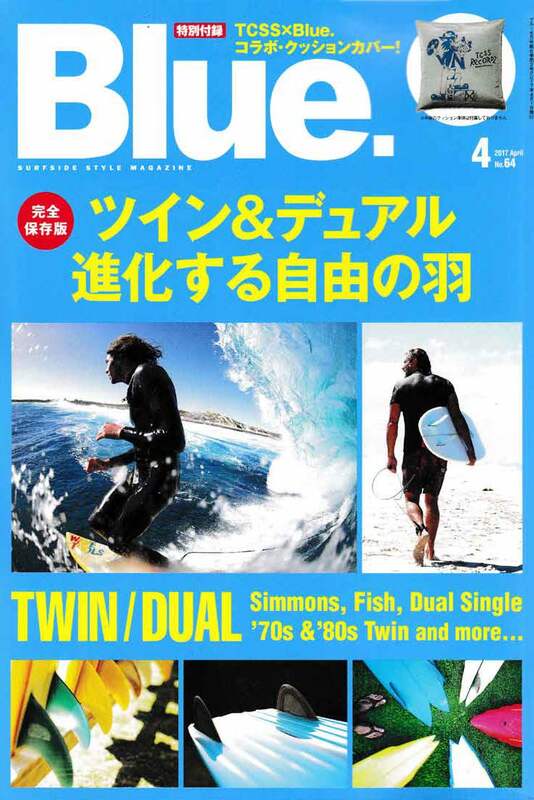 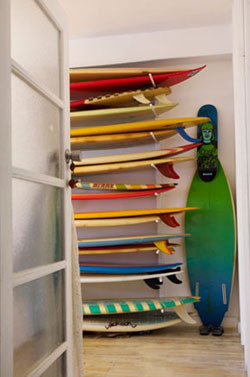 Vintage surfboard collecting has become a lot more popular than when I started and seredipitous finds, once common place are becoming a lot rarer. 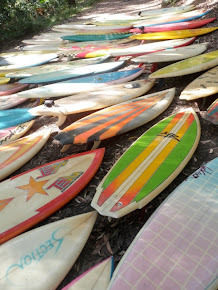 Of course the good news is these old olds are being bought, restored and cherished instead of ending up at the tip. 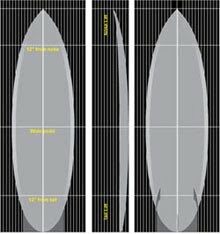 "How big is it? 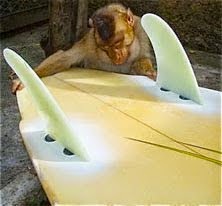 Oh, thats just my size.....would you consider selling it??" 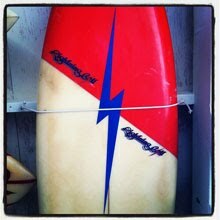 I drove away, stoked to realize that I could still get lucky and find a nice old Bertleman twinny out there. 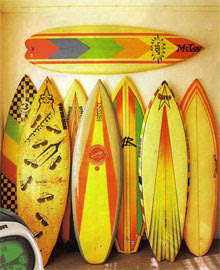 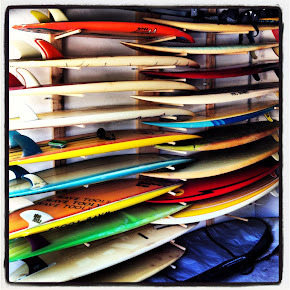 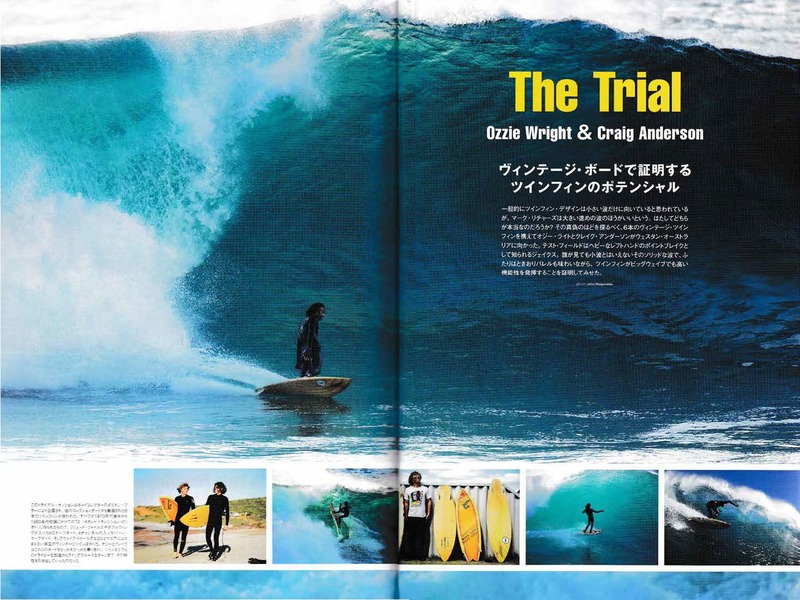 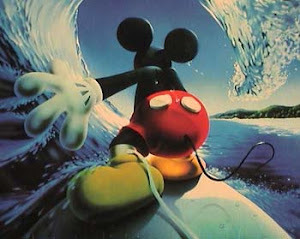 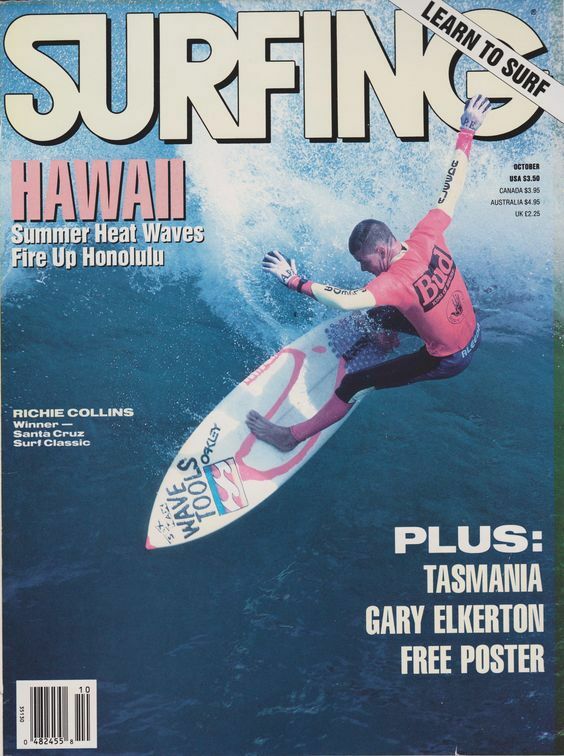 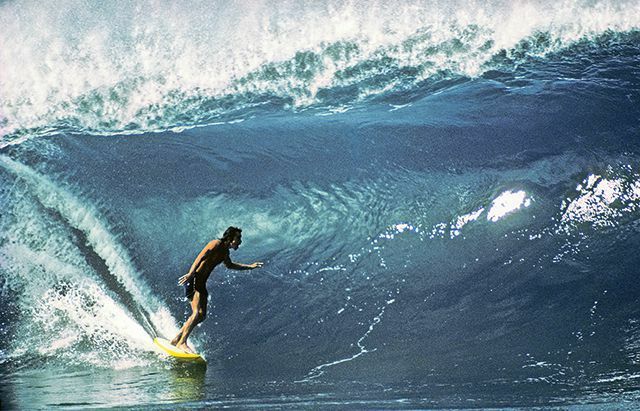 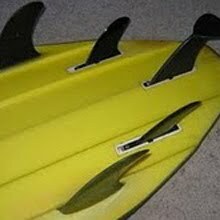 Too bad its not the same in the water I thought, you can never find good, fun, uncrowded waves these days. 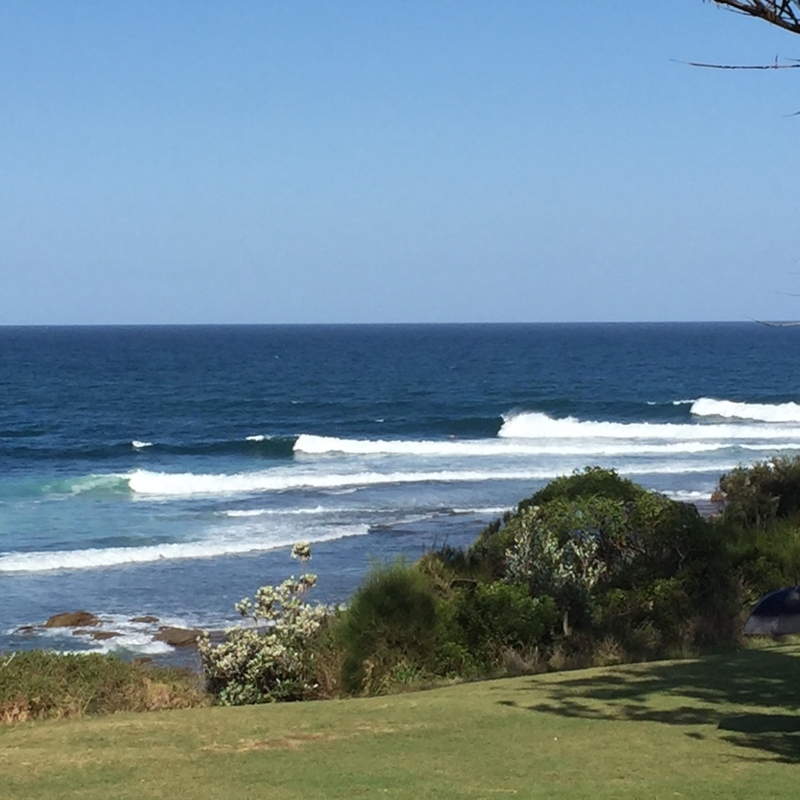 Especially on a day like today, a sunny Sunday in the school holidays. 3-4ft, a bit windy, but only 2 guys out. Interesting to note that the by-line on the decal reads. 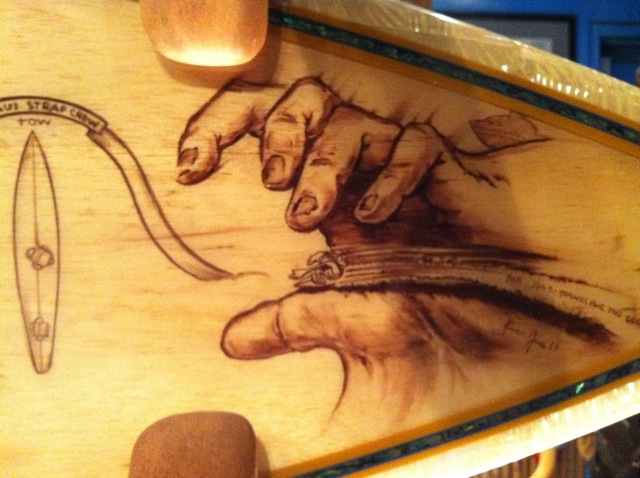 I'm pleased new find can replace the hole in my collection left when I foolishly sold this board a while back. 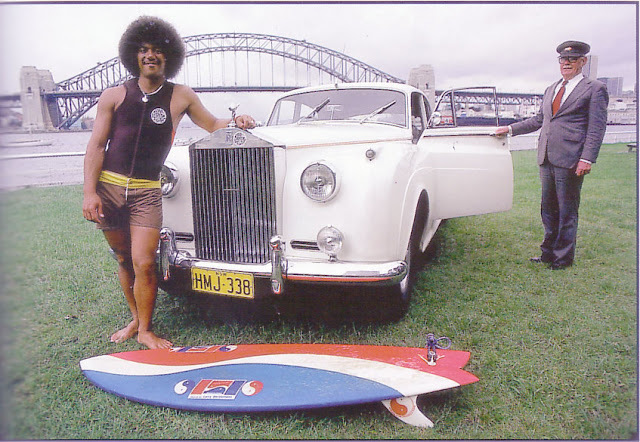 Larry, during an earlier visit to Sydney.